In 2013 I watched 66 movies over the course of the year and as I blogged then, not one of them was a BAD movie. NOT ONE!! This year I beat the 2013 number and saw 75 movies. Inspite of being on the road most the year, with a killer workload. But I made the time when I could. Luckily most of my movie watching just needs is a charged laptop and 100 minutes to spare. Of the 75 movies, 6 were documentaries and 60 were movies.I have split the 75 movies seen into 3 ratings : Wow, Good and Meh (last one means so-so, but not BAD per-se). Good : 43 movies that I thoroughly enjoyed but these were the kind of movie that after 5 years you will struggle to recall at the cocktail dinner. Meh : 19 movies I saw, shrugged and pretty much forget by the next weekend. Not a total waste of my time but not exactly the best use of it either. Because you are very busy let me talk about and sell the 13 that blew me out the water. L.A. Confidential – A tightly directed crime thriller that had me riveted to my seat till the very end. The 3 main male leads explode in their respective roles. Phenomenal performance all around. Movie won 2 Oscars. Wake in Fright – A batshit crazy aussie movie. John Grant, a bonded teacher, arrives in a rough outback mining town planning to stay overnight before starting his holiday. But one night stretches to several and with the aid of alcohol he plunges headlong toward his own destruction. You will never look at the outback, Australia and its beer the same way again. 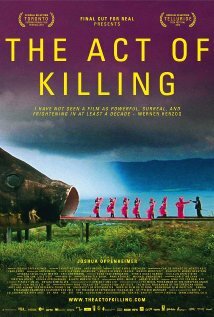 The Act of Killing – A documentary which challenges former Indonesian death-squad leaders to reenact their mass-killings in whichever cinematic genres they wish, including classic Hollywood crime scenarios and lavish musical numbers. Surreal and absolutely mind blowing. I dreamt of some scenes in this amazing documentary for weeks after. 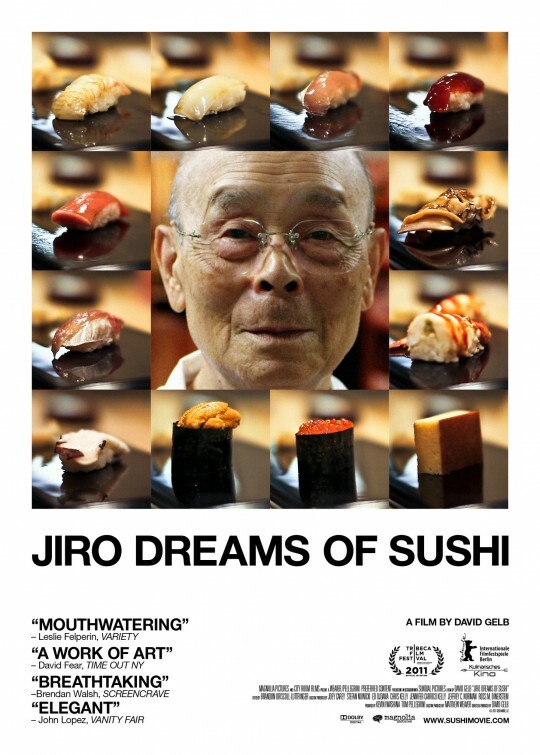 Jiro Dreams of Sushi – A superb documentary on 85-year-old sushi master Jiro Ono, his renowned Tokyo restaurant, and his relationship with his son and eventual heir, Yoshikazu. Seeing the movie made me understand what DEDICATION TO THE CRAFT as a phrase actually entails. Brillaint documentary. Gosford Park – The lives of upstairs guest and downstairs servants at a party in 1932 in a country house in England as they investigate a murder involving one of them. That’s just the raw setting. But by god the actors deliver and how. The line up of talent is unmatched. Edge of Tomorrow – I love action movies. I love cool sci-fi. This was a masterful blend of the two. I had read the book earlier and that helped too. A military officer, Tom Cruise, is brought into an alien war against an extraterrestrial enemy who can reset the day and know the future. When this officer is enabled with the same power, he teams up with a Special Forces warrior to try and end the war. My Left Foot – Pack a tissue. Christy Brown, born with cerebral palsy, learns to paint and write with his only controllable limb – his left foot. And yes, the Irish are crazy. 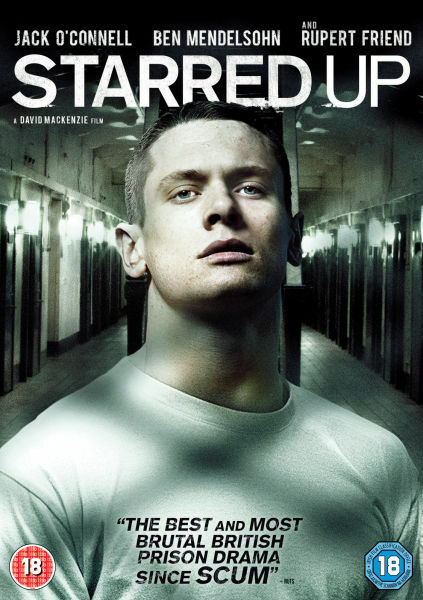 Starred Up – Holy Cow. this is how you do prison drama people. A troubled and explosively violent teenager is transferred to adult prison where he finally meets his match – a man who also happens to be his father. Mayhem ensues. The Lunchbox – this is why Irrfan Khan is the only contemporary Indian actor I like. A mistaken delivery in Mumbai’s famously efficient lunchbox delivery system connects a young housewife to an older man in the dusk of his life as they build a fantasy world together through notes in the lunchbox. Incendies – I must have sat for 10 stunned silent minutes after credits to adsorb what I just saw. Raw stuff. A mother’s last wishes send twins Jeanne and Simon on a journey to the Middle East in search of their tangled roots. Adapted from Wajdi Mouawad’s acclaimed play, Incendies tells the powerful and moving tale of two young adults’ voyage to the core of deep-rooted hatred, never-ending wars and enduring love. Nominated for 1 Oscar. Footnote – This Israeli drama-comedy has 1 scene in a uni room that had me on the floor in tears. The story of a great rivalry between a father and son, both eccentric professors in the Talmud department of Hebrew University in Jerusalem. The son has an addictive dependency on the embrace and accolades that the establishment provides, while his father is a stubborn purist with a fear and profound revulsion for what the establishment stands for, yet beneath his contempt lies a desperate thirst for some kind of recognition. The Israel Prize, Israel’s most prestigious national award, is the jewel that brings these two to a final, bitter confrontation. Stories We Tell – A very well made film that excavates layers of myth and memory to find the elusive truth at the core of a family of storytellers. 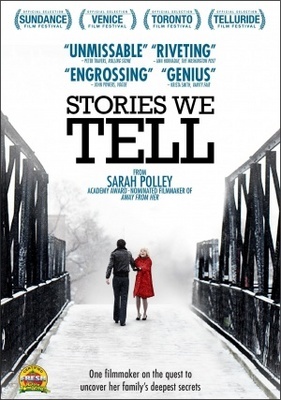 Polley is both filmmaker and detective as she investigates the secrets kept by her family of storytellers. She playfully interviews and interrogates a cast of characters of varying reliability, eliciting refreshingly candid, yet mostly contradictory, answers to the same questions. The Hunt – Easily one of the most gut wrenching movies I saw this year. Maybe the most. Lucas is a Kindergarten teacher who takes great care of his students. Unfortunately for him, young Klara has a run-away imagination and concocts a lie about her teacher. Before Lucas is even able to understand the consequences, he has become the outcast of the town. The hunt is on to prove his innocence before it’s taken from him for good. There you have it : 13 amazing awesome brilliant movies that you can see at the easy rate of one each month of 2015. For the really ambitious, here below are 43 more that I liked a lot and I am sure most of them you will like too (no guarantee though, unlike above 13). Happy viewing!